1. Have you seen my little dog? In 1984 guitarist Juan Tambussi, together with drummer Sergio Moscatelli, both fans of RUSH, decided to form a complex heavy metal band called FAHRENHEIT. Soon after, the band broke up, and that’s when the two got in contact with Lucho Paseri, who came from a symphonic band similar to YES. They decided to have a common project, mixing RUSH, YES and heavy rock in a power trio format: it was 1986 when this project got officially formed and baptized as 2112. After years spent in gigging continuously, they managed to make their debut album in 1990, with original composition and songs in Spanish – it was "Alterando las Divisiones", produced by Sergio’s brother. Throughout the following years, the trio focused on playing live in gigs and festivals (mostly, heavy metal festivals), while recording demos for an intended second album. Due to some problems with the record company as well, as some inner conflicts, such material was not released. 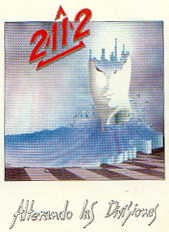 But in 1994, as an independent band, and with the added presence of Adrian Katz on keyboards, 2112 recorded their second record, again with Spanish-language material, called "Intro". This album turned out to be quite successful outside the country, since it was distributed by an European company (which even proposed them to re-record it in an English version), and via catalog in the USA. 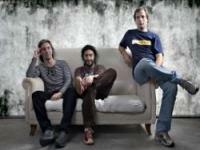 A new crisis reduced them to a "power trio" again when keyboardist Katz left the group. However, stronger than ever, they started playing live again, even supporting American neo band ILUVATAR in an Argentinean gig in September 1997. In 1999, Lucho Paseri left the group, being replaced by Daniel Bazán, an old bandmate of Tambussi’s. With this line up they took part in their first international prog rock festival: it was the "Buenos Aires Prog ‘99", with Swedish band ANEKDOTEN as special guests – it was on Friday, December 3rd of 1999. 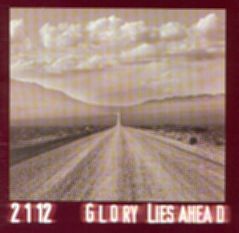 “Glory Lies Ahead”, their third album and first sung in English, is, by far, 2112’s most impressive effort to date. Released in 2000, it has been highly praised in several prog and metal prog e-zines. For the last years, the band’s activities decreased in number, but they managed to keep themselves active in the music business. In the latter half of 2005, Bazán left the band; fortunately, the vacant position by an experienced Uruguayan bassist Gabriel Costa (a long-time resident in Argentina). The band intends to spend the year 2006 preparing new material for a new album and planning several live shows.